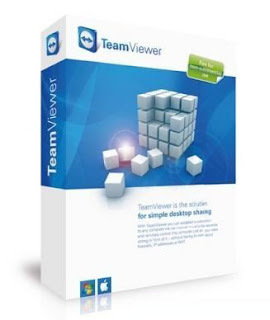 An all-in-one solution for remote access or technical support over the Internet, TeamViewer is an excellent application for technical advisors, corporate meetings, and students. The application is quite tiny, but pretty powerful and it creates tunneled connections for accessing a remotely located computer via the Internet. One can take complete control of the remote PC, create online meetings and presentations, setup a VPN, or do simple file transfers across two PCs. Additionally, one can also do VoIP, video chat and more using this simple application. Once you download it, you can either install it or run it as a standalone utility, and it connects your computer to its servers via the Internet to create a unique user ID and password for your computer. Once done, all you have to do is pass on these credentials to the other user, who has to simply enter the details on his end in the application and take control over your PC. You can setup security details for the type of access control that you would like the other person to have. The free version is meant for personal use only, while commercial use attracts a license fee. The application is also available for crossplatform use on Mac, Linux, and iPhone and Android operating system-based phones. It is an excellent solution for those who travel away from work or home and need to access their PC or important data from a remote location using the Internet.